This film was screened on White Screen in full throughout April 2016. A clip of the work is available to view on the FILM AND VIDEO UMBRELLA website here. I was not ashamed. Far from it. 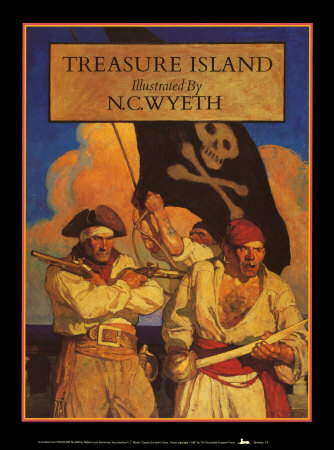 I had just read my first novel, Robert Louis Stevenson’s Treasure Island (1883), illustrated by N. C. Wyeth. Now in a new school, in a new country, with my new library card, I immediately went too far. Without a word, the librarian led me. An eyebrow lifted, yet she led me to the longest novel in the library. I still remember the sudden visible smallness of the children’s books pressed up against that gigantic orange bulb. 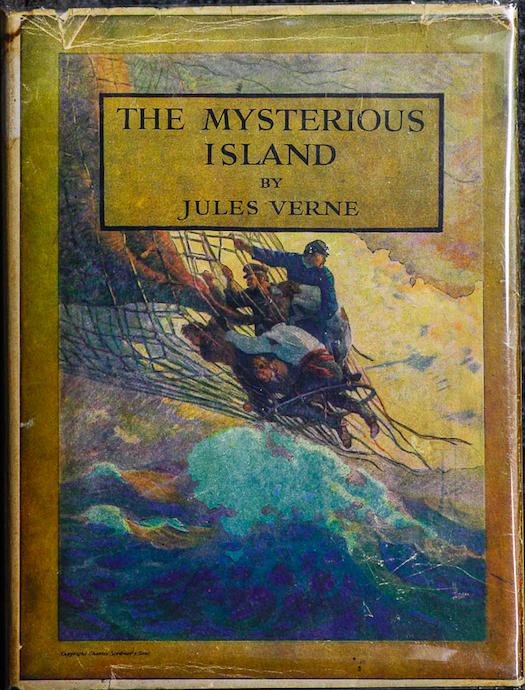 Already the hardback Charles Scribner’s Sons Edition of Jules Verne’s The Mysterious Island (1874) came as an art event: sculptural, conceptual ­– double-covered. The illustrations upon its skins came next, with the visual art offering a portal not out of the book, but into its infinities. Wyeth’s pictures led me to science fiction; they also led me through it; I remember passing word by word, sentence by sentence, on that journey in which each illustration itself was a mysterious island to be reached, rested upon, understood, en route to the goal. 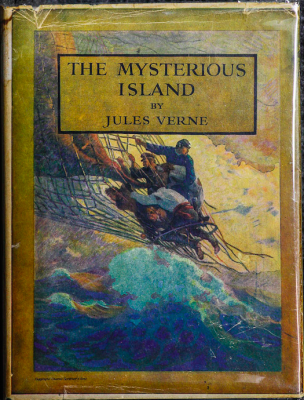 And Verne’s The Mysterious Island would in fact explain itself. I had peeked ahead (here came shame) and already glimpsed that peculiar white-bearded authority whose words made a veritable monologue out of the novel’s end. N. C. Wyeth, who painted that white-on-white face against an Orientalist background, saw himself as a high artist slumming it in the pulps. He joined art history in the company of Margaret Brundage and Hannes Bok, and not with Thomas Eakins and Hart Benton. 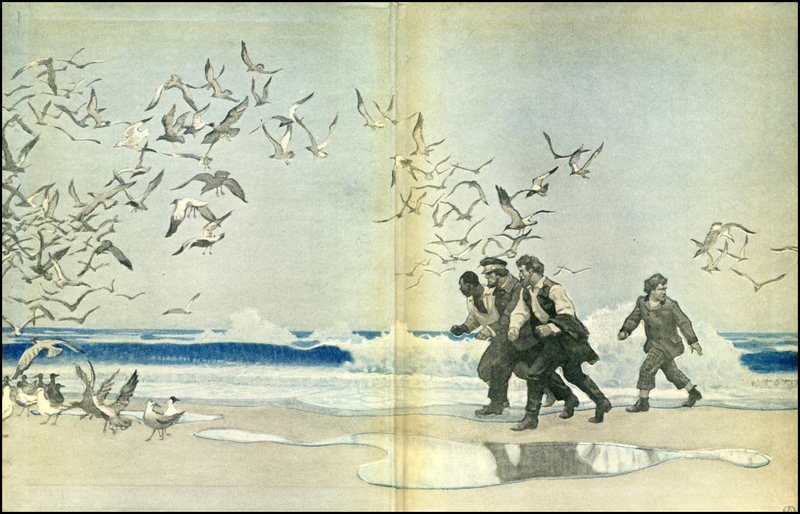 With one shoe in the nineteenth century, N. C. could not understand that a work like Verne’s might open onto a more intimate relation with reality production than that which romantic theory had yet allowed the artist. Foucault complains, exactly beholding that ‘empty space that words and their machines cross at a dizzying speed’ that science fiction will refuse to mask. 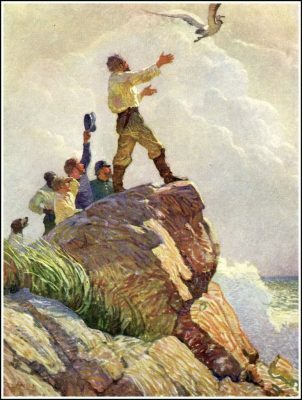 In certain pages of Journey to the Centre of the Earth, Five Weeks in a Balloon, 20,000 Leagues Under the Sea, From the Earth to the Moon, Trip to the Moon, The Mysterious Island and Hector Servadac, he raised himself to the highest peaks that can be attained by human language. High peaks indeed – even above the very mountains themselves, to a global realism. Foucault is correct to note the emptiness uncovered in that mysterious and central ‘O’ – rarest of emotional moments in this analytical and always utterly honest author. The earlier stressing of the infinite and incommensurable have prepared us for this perfection of failure. Miming Journey to Centre of the Earth, with its hollow Earth theory pay-off, How I Wrote… discovers only total abandonment of romantic authorial intentionalism via the ‘evolutionary method’ of composition it describes. Yes, Verne and science fiction in general, ever after (and in the history of science fiction, Verne further de-romanticised and globalised nihilist Poe) simply offers an art without ‘inner meaning’. The metaphor of possible peaks, suggesting vistas partly visible, yet entirely overt, is exact. There was not yet suitable rhetoric to explain such madness. With his ‘incomparable master’, Roussel predicted the ‘Grandmasters’ of science fiction to come. He already understood himself in relation to the arts in general as a ‘FANATIC’, and followed theatre, music and literature with hyper-passionate devotion. A fatherless, ex boy-wonder, Roussel understood that in what you might call pre-, post- or anti-Oedipal freedom, the fan’s adolescent relation to the text reflects escape back to the escape artist himself – that ‘master’ whose authority the present regime by definition refuses to acknowledge. Via the author, the fan has escaped family first, the state and other would-be determinators soon after. In the era of the paperback revolution (Roussel was so rich, all books were in some sense paperbacks to him), fans were soon powerful enough to reflect those blessings back upon the author. Indeed despite his own famous failure, Roussel himself would be preserved, gardened and disseminated by his own fanatic fans, Leiris, Duchamp & Co. into an entity as large as Victor Hugo in any French bookstore. Verne himself self-consciously performed his heroics on the back of Poe, with veritable fan-fictions. It seems to have been in Poe that science fiction discovered, via its own revelatory power despite an absence of authorial romantic intention, a certain principle of cultural buoyancy. The presence of this absence – eventually incorporating science’s own quite clear resolution that all is but a partially understood dream – is not to say (and science says no such thing) that there is nothing here. Rather it is here, upon this nothing, that all true illusions must gather. Not only a number, the O-as-circle furthermore calls up that earlier notion of the ‘return’ to the book, again and again, the very stability of a narrative’s infinite complexity in the stream of time. The Mysterious Island, of course, re-reads itself. The narrative’s compendium of individual mysteries are later explained, even ‘spoiled’ when it reveals itself in the final chapters as a sequel, displacing centrality or content and control out and away from the scientific method as well – only into more books, a string of fictions. Men were no longer walking on the moon I remember, in the 1974 where I first read it. But there was a sense of those ‘highest peaks’ being walked upon upside down. The civic Connecticut architecture of AW COX Public School offered something like a Munchkin version of the great temple of Ephesus, that super-rational wonder of the ancient world whose Goddess invited all refugees to live in her city-state free. This open fronted rectangle introduced/protected an inner sanctum: in this case not the Mysteries, per se, but the library: including The Mysterious Island. This Heraclitus analogue was lodged like the fetish itself deep at the point of foundation. ‘The Mysterious Island’ (1961), directed by Cy Endfield with special effects by Ray Harryhausen . 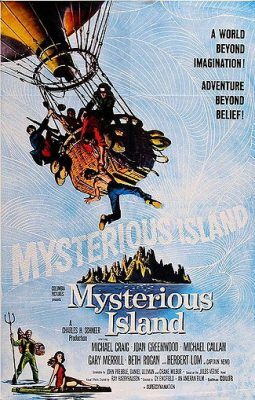 The Mysterious Island contains a multiplicity of possible island story forms within its single castaway narrative. The Castaway, the Wild Man, the Pirates, the Treasure Map, the techno-Utopia, the natural wonder log, the discovery: Verne collected as many enlightenment island tropes as already existed in the tradition – only to de-empiricise them and reveal the very fiction of the system that tried to weave them together. Indeed our ex-Americans (having flown from the Civil War in a balloon only to hit a storm and be transported to who knows where) will have almost entirely lost their commonality at that wonderful ex machina moment immortalised in the 1961 Ray Harryhausen movie version, with Herbert Lom simply walking out of the sea onto a beach with an enormous shell on his head. NEMO (No-Man, proper and only inhabitant of Utopia’s ‘No-Place’) came as a signifier of the ENTIRELY UNKNOWN AND UNPREDICTED. 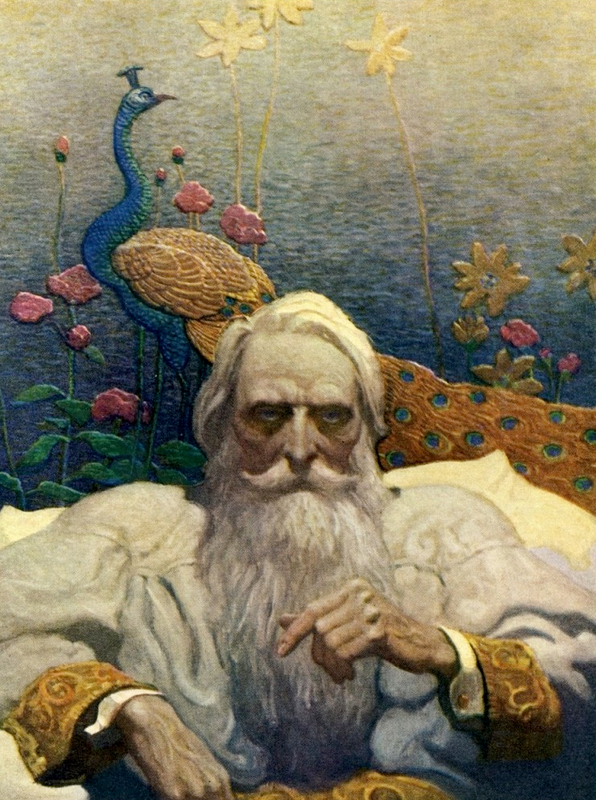 Wyeth’s illustration depicts an atrophied Western God, the Father. White-robed, white bearded, white skinned: a veritable avatar of whiteness. And so when I reached the revelation, Verne removed the rug even from under his own most helpful illustrator. Nemo was not that Nemo. Nor was Nemo the Nemo I had imagined him to be, even in negative. 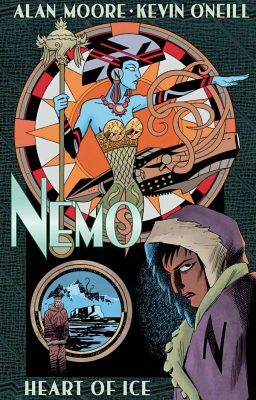 As today’s Alan Moore fans know so well, Nemo never was Nemo, but radical Prince Dakkar of India whose vendetta against colonialist England (clear in ‘74 despite the translation’s attempt to censor) did not slow him from coming to aid our white and black castaways – even from his own deathbed. 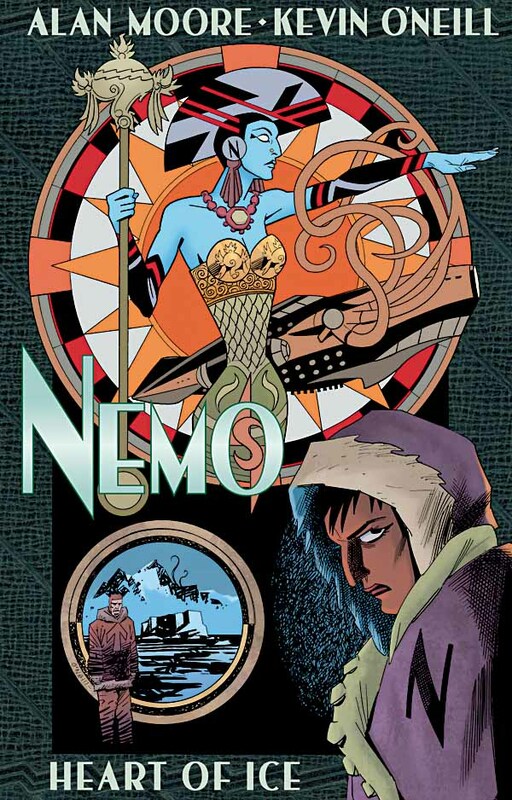 But who is Nemo to the adult reader but another hoax of Odysseus, that proto-science fiction hero, able by code-reversal to defeat the Cyclops mono-eyeball of enlightenment’s current real? Nemo, like Odysseus, keeps no friends, moves through the book accompanied by machines and castaways. Did I mention the volcano is about to blow? 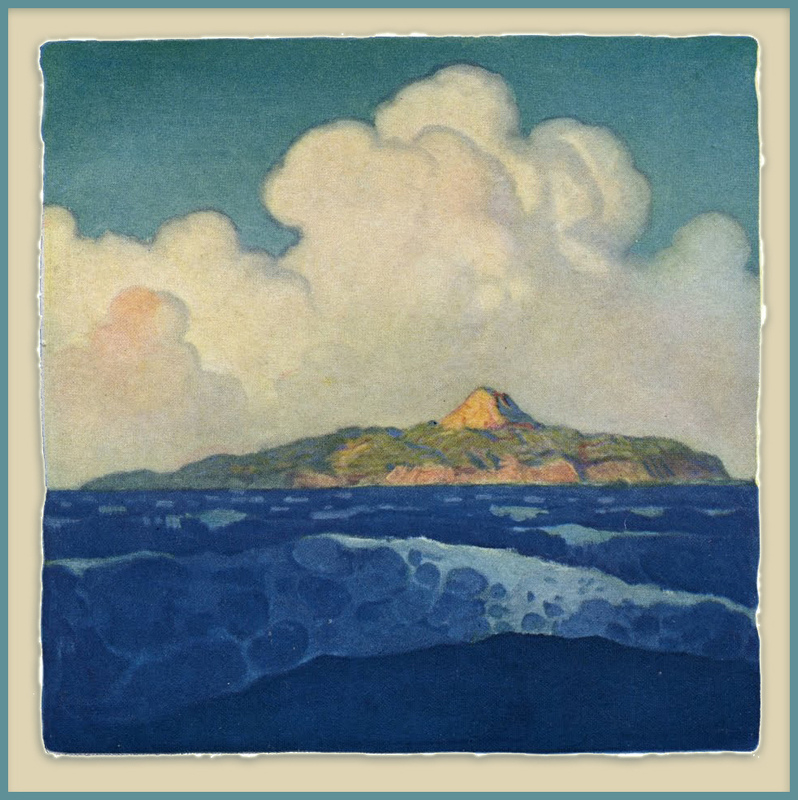 Indeed the Island (and it is impossible in our line of thinking now not to call that island literature itself, as it has come to be inhabited by science fiction) is doomed. Like crime stories in a society enforcing legal control, there are certain kinds of narratives that one can expect popping up in a developing technological society – narratives of difference from the real, explicitly resistant to attempts to limit and define story forms. But even in an era when it is relatively inexpensive to tell stories visually, we have seen nothing like the explosion of narratologies initiated by pulp literature during the paperback revolution. The presumption of the literary text reporting on a mis-read visual real must encompass the idea that the subject cannot by definition be rendered only by sound/picture. The image purports to describe (in our age to design the description of) the past and captured real; like the world visible in any mirror, that primal or first real remains off the page, outside the image, as remote as it is apparently close at hand. In an image-saturated culture, any string of images equalizes in relation to reality; science-fictional disruption of reality production, therefore must depend on its literary nature. When one has dispensed with the immaculate possible transferred content of the romantic genius, it is clear that no one literary experience is the same. Every passage through a narrative is a singular adventure with the infinite arbitrary. So science fiction’s extraordinary welcoming of the visual may be explained as a consequence of identity actually somewhere beyond the divisive conceptualism of art and theory. For science fiction has this distinction over the old mainstream: it performs a critique of its own literary nature. Science fiction fails the literary just as it fails science. Pulp roots stand for natural art, able to survive lustily at the nadir of content’s value. Like a cockroach it can easily witness the very fall of Man. Understandably, the case has arisen where a certain kind of art still depends on romantic genius theory, yet finds itself possessed of critical faculties. It needs something rather urgently to critique, for it will not sustain a self-analysis. Today when contemporary art takes on science fiction, it is often without the irony with which so-called Pop artists appropriated the comic to fill up the absence of content. It has not yet committed, as the comic, to the high/low divide. Science fiction, though more than fiction here, is less fictional than ordinary fiction. This paradox is explained by the naturalism of storytelling. In fact a certain tradition of individualist storyform contains infinite stories within its scope. In the worlds of writers like Jack Vance, there will be writers like Jack Vance at work. Post Galileo, post Newton, post Darwin, post Freud, post Einstein it is very difficult to perceive anything as anything but science fiction. Here must be where the science fiction worker asks herself: Is the secret science fiction has transmitted since Frankenstein actually its own eventual dominance in all possible forms of artistic endeavor? Hardly. Despite appearances, since Gilgamesh the ‘real man’ has always been artificial. But science fiction must contain literature. As Mary Shelley affirmed most clearly, explicitly marginal literary production can already locate, predict and transmit the Monster’s Tale – respect the very point of view of the other. The influential computer game MYST (1999) used books as portals between various realities outside the book. Though it was based on, and named after, The Mysterious Island, it reversed the power relations of image/text the volume in question presumed. Michel Foucault, Death and the Labyrinth: The World of Raymond Roussel, trans. Charles Ruas (New York: Doubleday, 1986) 159. Raymond Roussel, How I Wrote Certain of My Books, trans. and ed. T. Winkfield (Cambridge: Exact Change, 1995) 20. Roussel’s mourning ‘O’ for another thing stands for Opium – that very other sort of master under whose spell he had fallen at the time of writing. Mark von Schlegell (1967, New York) is a fiction writer and critic currently based in Cologne, Germany.